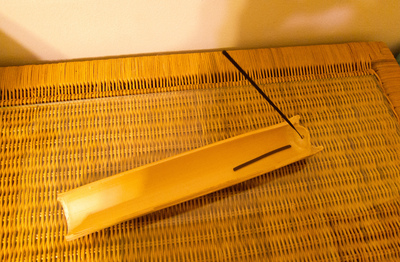 I was going to make divider cups with the bamboo, but found instead that they would be better as incense holders. 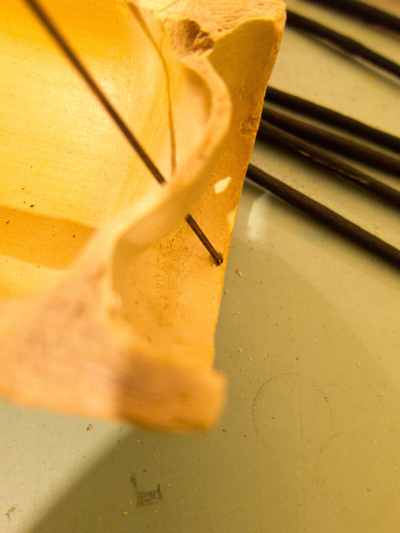 Keep in mind that sawing the bamboo may take a while. I didn't realize how much harder it would be, but if you have a man in the house, maybe you can have him help you. node to make sure that you have a place to drill your holes. and where you want to cut is below the second node. So you'll have a cup like internode once you saw it. 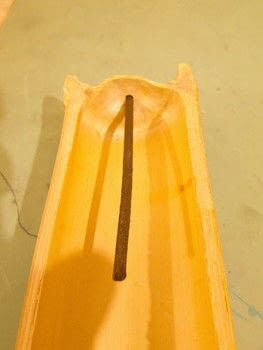 Next sand the edges so you have no splinters. 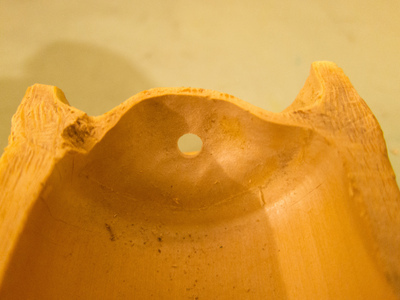 Drill a hole in the node wall of your halved bamboo stick. What I did was start with a smaller hole and then switched to a slightly larger drill bit to drill evenly through it. 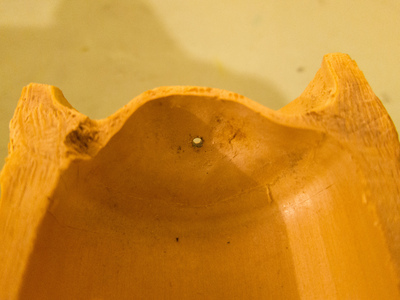 Next I stuck an incense stick in and noticed that it sat a little low, so I angled it at where I wanted it and drilled a HALF hole at the bottom on the other side of the node so that it will sit upright. This is kind of like an anchor. basically you should have something like this. And that's it. 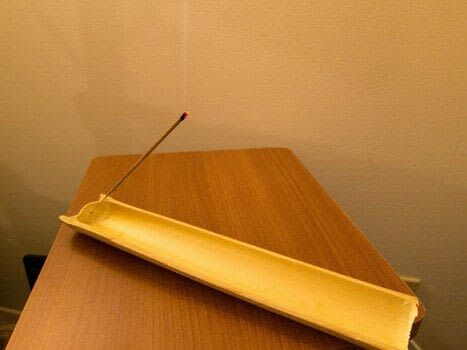 SO you have an incense holder. You'll do the same to the other one. But NOTE, some incense sticks come in thicker sizes, resulting in some not fitting in that small hole. So for the second half of the bamboo stick, I drilled a hole big enough so that they could fit. 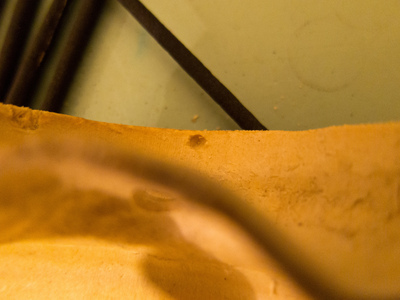 Even though I don't mind the angle being low, I still drilled a half hole on the other side of the node so that I could still use regular incense sticks. Fantastic, and now you have 2 bamboo incense holders! And a nice smelling room.